Price is per 15-inch strand of these beautiful beads - ready for stringing. Largest chip size: 12 x 4mm and average about 10mm x 4mm. 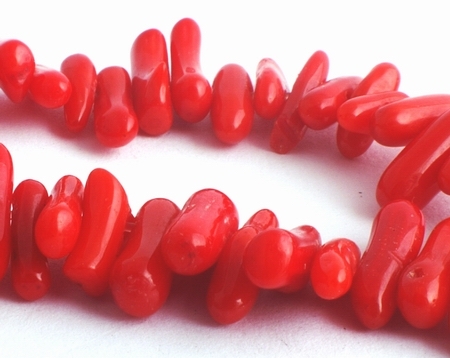 Genuine Chinese coral from Beijing, dyed red but colour fixed.